Tobacco-based cigarette products are smokes of the past. In the last few years, much advancement has been made in the cigarette industry to make smoking easier and, dare we say, healthier. While smoking is never a healthy habit to pick up in the first place, those who are already smoking or feel the need to smoke can now do so with more ease and less worry that what they are smoking will cause health issues. Specifically the better way to smoke is all thanks to the invention of the e-cigarette. While these electronic cigarettes work very well and provide enormous satisfying puffs of vapor all on their own, there are ways in which one can enhance how they smoke these cigarettes. 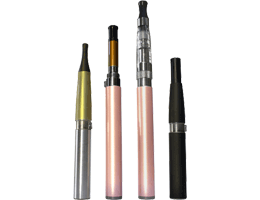 Therefore here are some tips for smoking electronic cigarettes. Too much water can really hinder the e-cigarette smoking experience. The best way to enjoy e-cigarettes is to make sure the optimal amount of water is added into the mix. 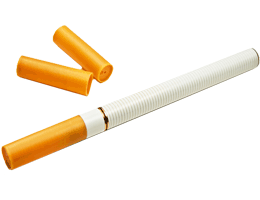 The engine that vaporizes the liquid in the cigarette contains one metal heating coil that is wrapped around a wick. Adding too much liquid will block the bottom hole and restrict airflow. As a rule, if you hear a gurgling noise when you get to the end of your e-cigarette this means that you have added too much excess liquid. The perfect e-liquid for a majority of e-smokers contains a perfect mixture of both vegetable glycerin and propylene glycol. Both of these components are at the root of the e-cigarette and finding the right balance can be a challenge for the ordinary smoker. There are many e-liquids on the market today, so although discovering the perfect mix can be challenging it can also be fun and a way to get you to understand what type of mix you enjoy. 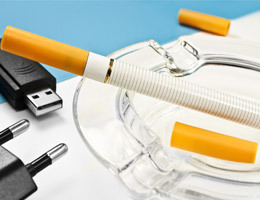 Another great way to make sure that you receive the most out of your e-cigarette is to keep the battery charged often. Although the resistance of the atomizer remains the same, the battery drops slowly as you continue to use the cigarette. A low battery will produce a lower level in watts compared to one that is fully charged and the vapor puffs produced will be unsatisfying and smaller in nature. A partially charged or low battery e-cigarette will produce a lower level in watts than one that is fully charged. As a way to really make the most of your e-cigarette, you can purchase a hallow drip tip and add e-liquid straightforwardly to your atomizer from a bottle. In doing this, you will enjoy less airflow restrictions when smoking and the vapor clouds will be much larger vapor clouds as well as improved and heightened flavor. With the invention of e-cigarettes there really is no reason to smoke tobacco-fueled cigarettes anymore. 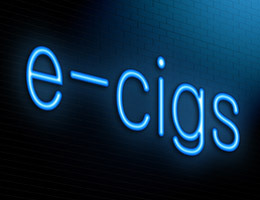 E-cigarettes provide many of the same features as regular cigarettes and then some. For maximum enjoyment, the e-cigarette smoker should try dipping, keep the battery charged and never add too much liquid. As long as these areas are followed, you’ll be on your way to smoking a better and more enjoyable cigarette! 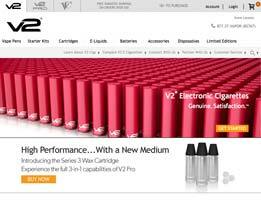 Thank you for reading our tips for smoking electronic cigarettes.